(3 days ) Chiang Rai - Doi Tung - Akha Hill Tribe "Baan Huay Kee Lek"
The sustainability of the routes lies in its essences of cultural heritage and the preservation of traditional Thai life, supporting communities’ natural resource management, art, wisdom, architecture, agriculture, gastronomy and wellness. For more information of The CSR MAP Project please click here. 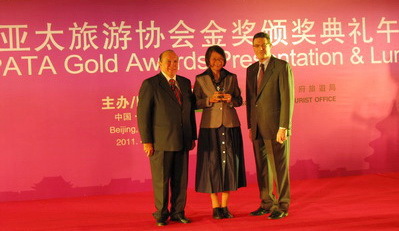 The CSR MAP Project won the PATA (Pacific Asia Travel Association) Gold Award on Education and Training.